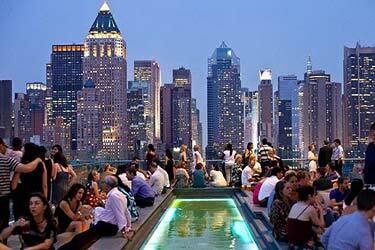 Le Bain NYC rooftop bar is located at The Standard High Line in downtown New York in the Meatpacking District. 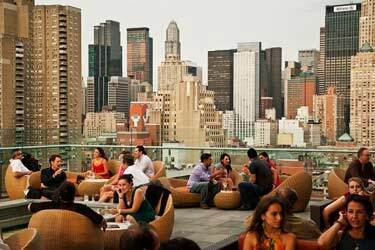 The roof terrace is home for both parties and relaxation, but whatever you come for the views you get from the the Standard Rooftop Bar NYC are always breathtaking, over the city’s skyline and the surrounding scenery. 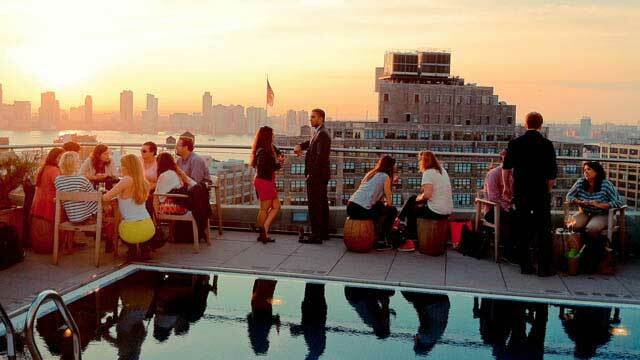 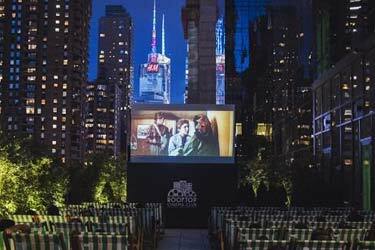 Often ranks as both one of the best New York rooftop bars and NYC sky lounges. 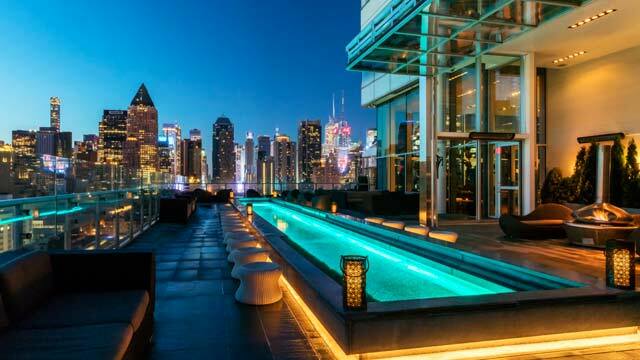 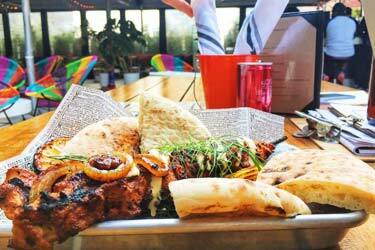 Perfect to visit during the afternoon for more relaxing drinks in the sun, and later at night for a more vibrant feel with live DJs and mingle with a festive crowd. 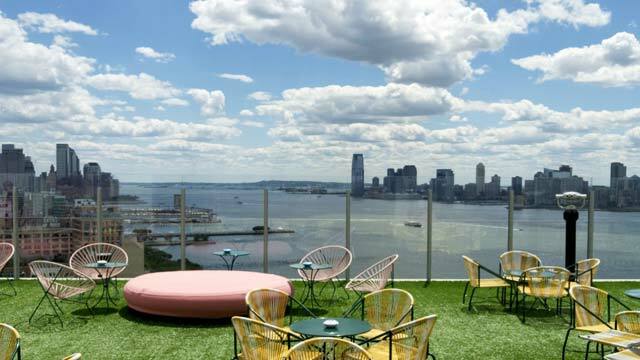 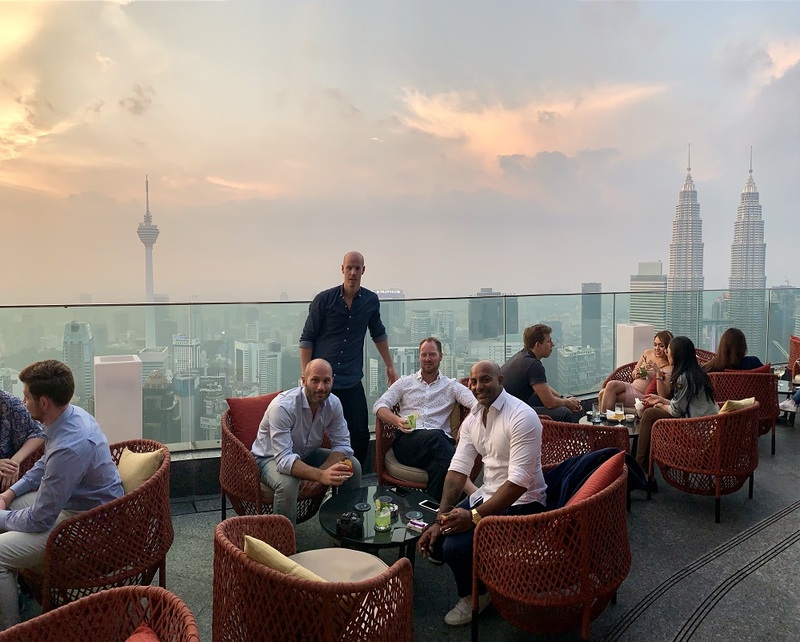 The decor at Le Bain rooftop bar is a mix between pretty simple outdoors, with artificial turf surface and comfortable lounge furniture to hang out in, and more chic inside, with black tiled walls, black leathered sofas and a disco ball hanging above a Jacuzzi. 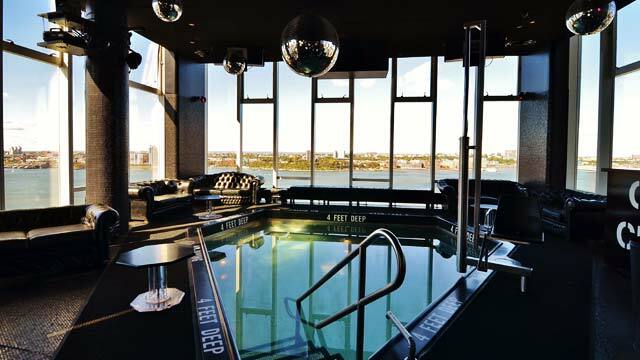 And if you forgot your swimsuit it's not a problem, you can buy one from a wending machine at the rooftop. 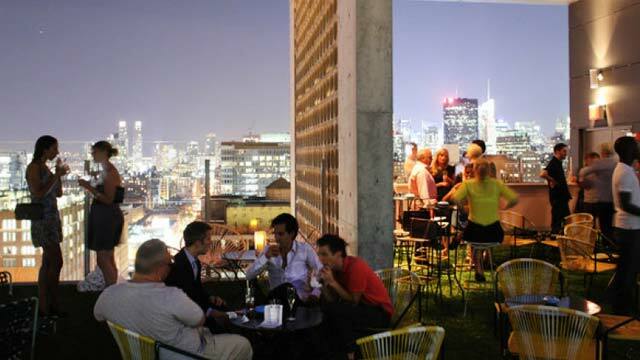 Le Bain Rooftop NYC is a very popular place, especially with the younger crowd. 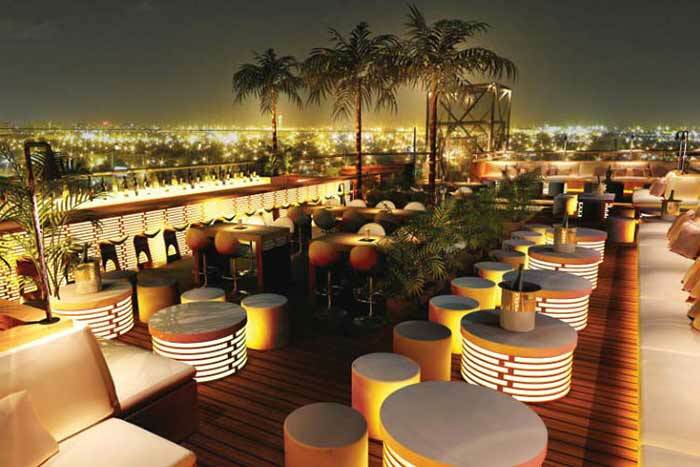 So try to be in good time, and even so, be prepared for a little bit of queuing to get in. 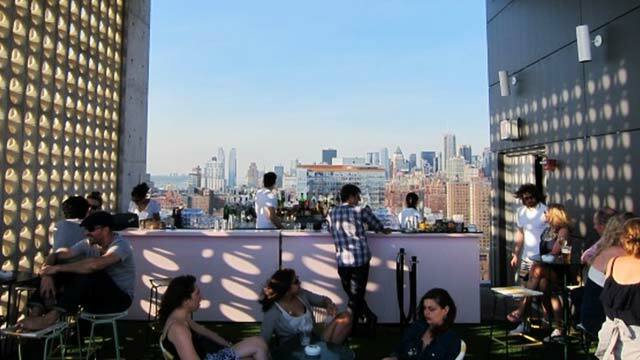 The Le Bain dress code is chic casual, so for nightly visit you should dress for success to feel at home with the trendy crowd. 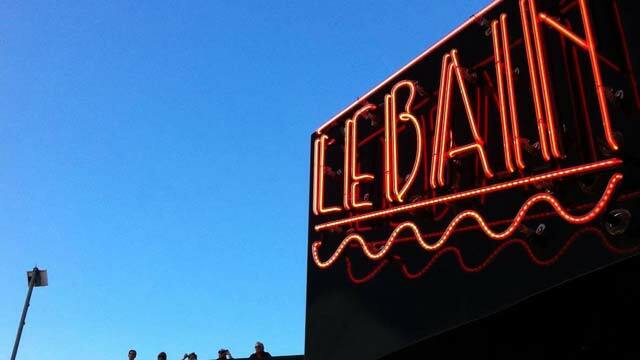 Read more about when we visited Le Bain at The Standard High Line for som drinks on a Saturday in 2016. 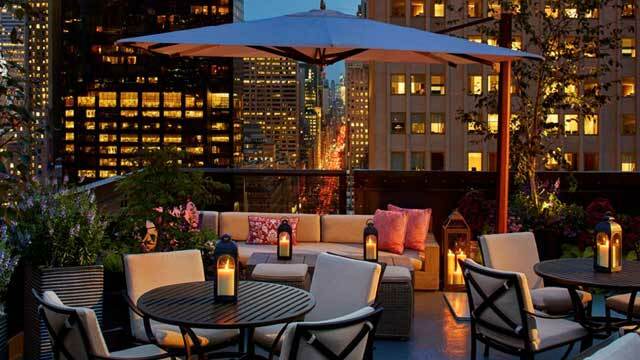 Read more about this amazing hotel on the list of the worlds best hotels with a roof terrace. 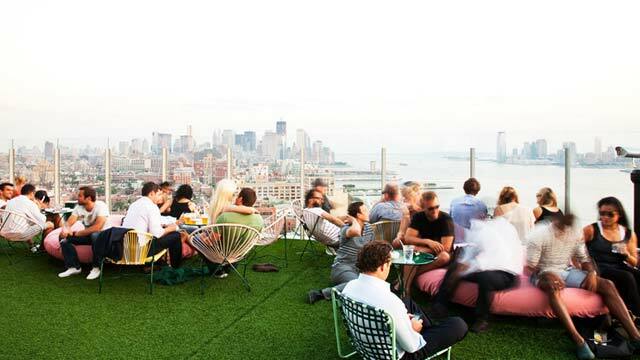 Read more about the best rooftop bars when it comes to party, where Le Bain New York is one of the best in NYC. 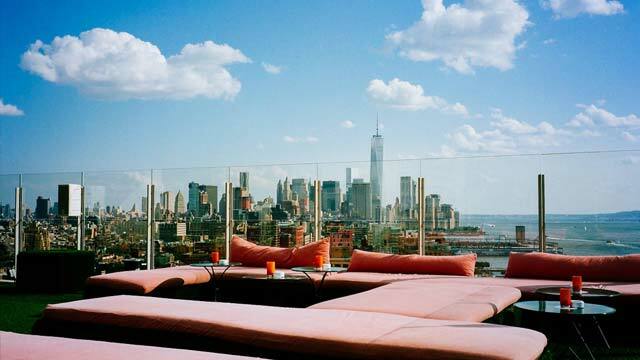 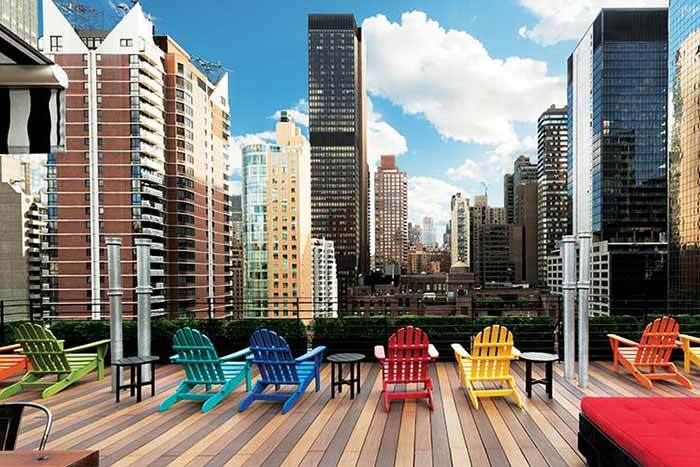 Read more about Le Bain at The Standard in the article about the best skybars and sky lounges in New York.